Have you ever been soaring through the air in your ship with the top down feeling the wind rush past you? It's a fantastic way to live, isn't it? Yeah until you get a bug in your eye, and experience the terrorizing chaos of flying a mile in the air completely blind. Believe us, we used to encounter that situation all the time in our steampunk airships or vintage fighter planes. Who knew so many injuries would occur because a few little bugs thought our irises looked like little targets to hit. Our eye doctor told us it was time to stop. Eventually we gave into the craze of wearing goggles with everything, and have never been happier! 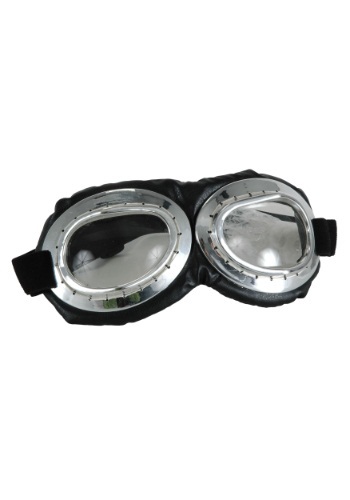 Just imagine cruising down the air currents in your thopter while sporting this sweet pair of silver and black goggles. They're perfect for a pilot costume or if you're off to the next steam punk party!